When Nassau County District Attorney Kathleen Rice was elected to the House seat that became available upon the retirement of Rep. Carolyn McCarthy, Madeline Singas was appointed to take her place. 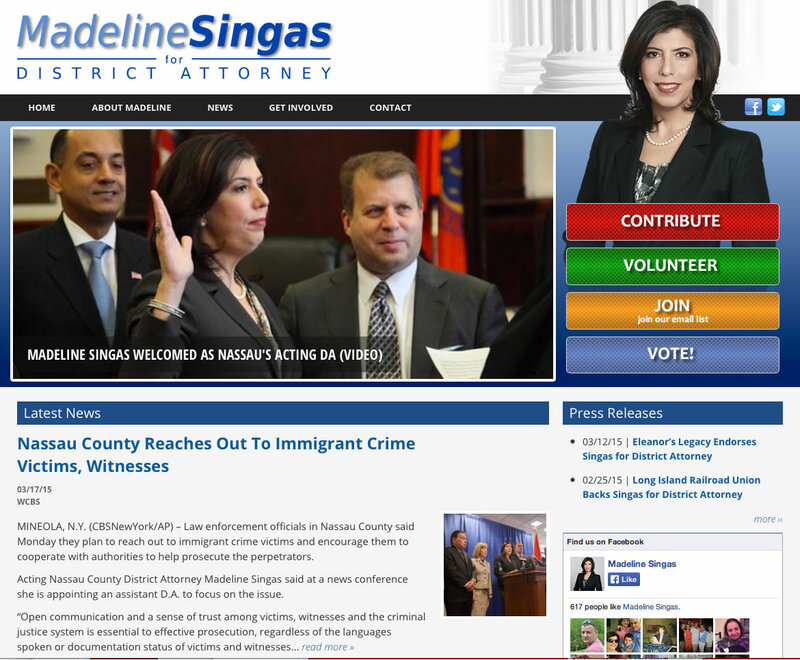 A tough career prosecutor, Singas is now running for election in her own right to be the District Attorney of Nassau County in one of the higher-profile races of the New York State 2015 election cycle. InterCreative Media came up with a smartly-designed, fully-responsive site to get the campaign off the ground in record time.